Join the MSC Preziosa’s Yacht Club and gain access to its exquisite bar, lounge and much more. Cruise the Mediterranean or around South America on the MSC Preziosa and enjoy the luxury on board. From the picturesque ocean views from an Outside Cabin to the incredible interior of a Royal Suite, with 1751 cabins there is sure to be the perfect one for you. Enjoy award-winning facilities like the MSC 'Aurea Spa’ with exotic wellness and beauty treatments - it will melt any tension away. If you’re looking for something to get your heart racing there is a fitness center with a state-of-the-art gym and jogging track. Parents can lounge by one of the onboard pools while kids are kept busy at the ‘Doremi Castle’ aqua park trying out the longest single-rider water slide at sea - ‘Vertigo’. After a day jam-packed with activities enjoy a delicious meal at one of the 5 restaurants on board. Choose the ‘Galaxy Disco’ restaurant for sushi and Asian fusion cuisine accompanied by intergalactic cocktails. ‘Ristorante Italia’ will serve authentic Italian coupled with wine from the extensive Vino Libero menu. 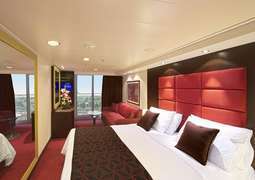 The elegant and modern cabins aboard the MSC Preziosa leave no wish unfulfilled. 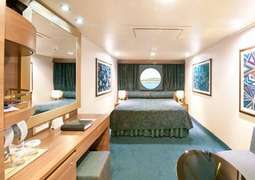 Here you may choose between inner cabins, outer cabins, balcony cabins, and suites with or without panorama windows. No matter which cabin you choose, you are bound to feel comfortable in your home away from home. Treat yourself to exquisite culinary delicacies during your holiday aboard the MSC Preziosa. Feel free to dine in one of the four main restaurants or two specialty restaurants on board, each of which offers a great selection of fresh and high-quality meals. No matter whether you're in the mood for Italian, Mexican, or French cuisine, you are bound to find everything your heart desires. After sunset you can relax or party it up in one of the 21 bars and lounges, each of which has a great selection of wines, cocktails, and other refreshing drinks. The entertainment offerings on board are diverse and offer fun for guests of all ages. Watch a one-of-a-kind show in the theatre, which can seat up to 1650 people, or play a round of blackjack in the 1000 m² large casino. 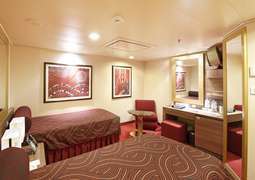 Other exciting places aboard the MSC Preziosa include discotheques and lounges, an internet café, a 4-D cinema, a cigar lounge, and children and youth clubs for kids and teens of various ages. Let yourself be pampered on all accounts in the luxurious AUREA SPA. Here you can delight in countless wellness and spa treatments, such as aromatherapy, Thalasso baths, and chromotherapy, as well as manicures, pedicures, and various massages. Leave your worries far behind with a visit to the countless pools, saunas, and whirlpools in the spacious SPA area. There are also plenty of opportunities for the actively-inclined, such as a fitness centre, squash and tennis courts, yoga and aerobics courses, a bowling alley, and a mini-golf course. With its numerous shops and boutiques, the Italian Marketplace is the perfect place for a shopping spree. There you will find a jeweller, an electronics store, a perfumery, and a sweets shop, among many others. Teenagers up to 17 years of age travel for free if they are housed in a cabin with two other adults. Please note that this offer can only be claimed for up to two children per family. There is also a corresponding offer for those who travel alone. One teenager up to 17 years of age who is housed in a cabin with one adult must pay only 60% of the price.